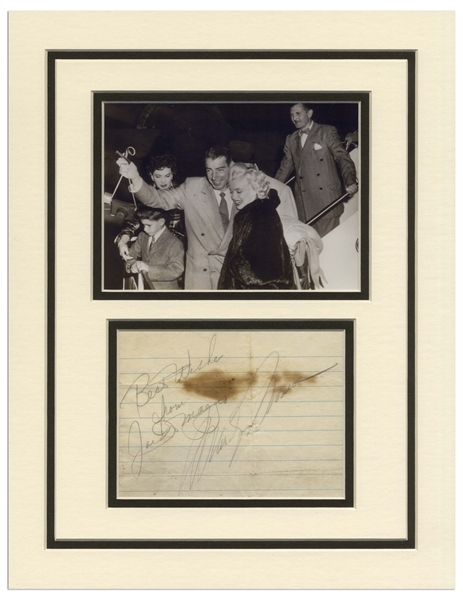 Marilyn Monroe and Joe DiMaggio signatures, with a ''Best Wishes'' dedication in DiMaggio's hand. 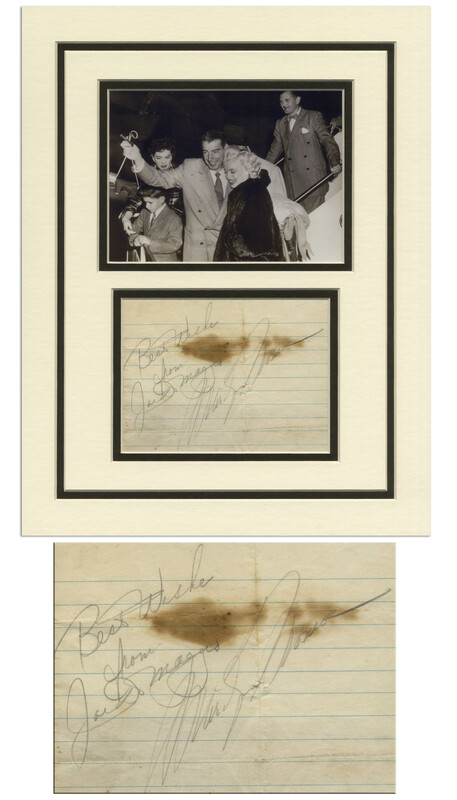 The couple sign their names in large, flowing pencil script on a lined sheet measuring approximately 6.5'' x 6.25'', double matted with their photo to a size of 11'' x 14''. 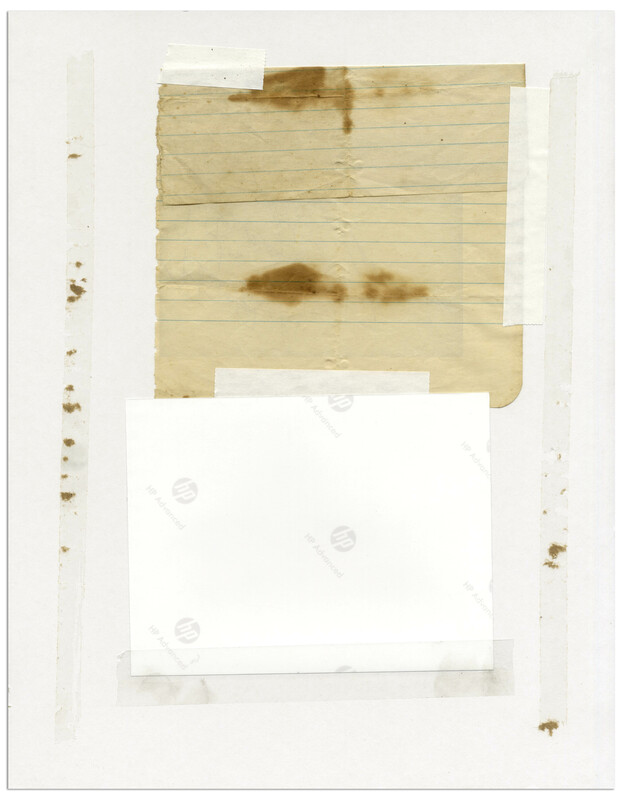 Burn stain to paper, and folds, otherwise very good condition. 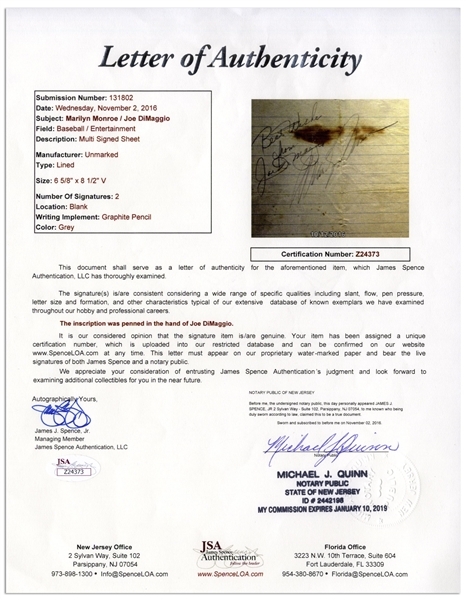 With JSA COA for both signatures.